What's your favorite daytime lip product that has SPF in it? 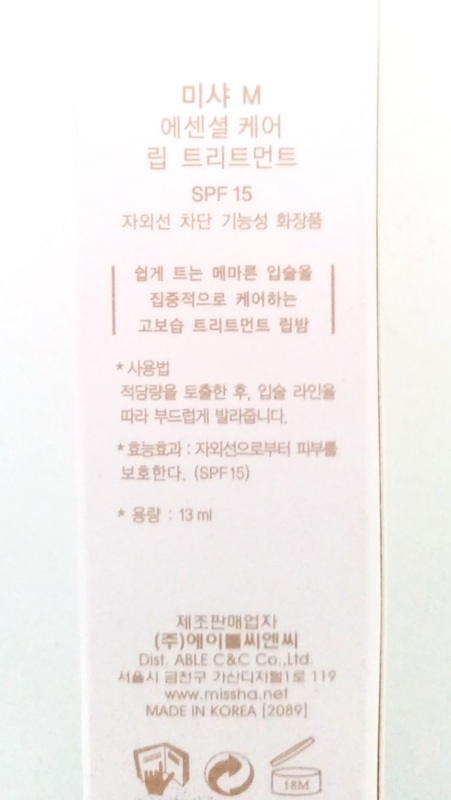 I used to use Chanel's Hydrating Lip Treatment with SPF 15 but it looks like this product has been discontinued or something because I can't find it anymore. So, I had to look elsewhere. 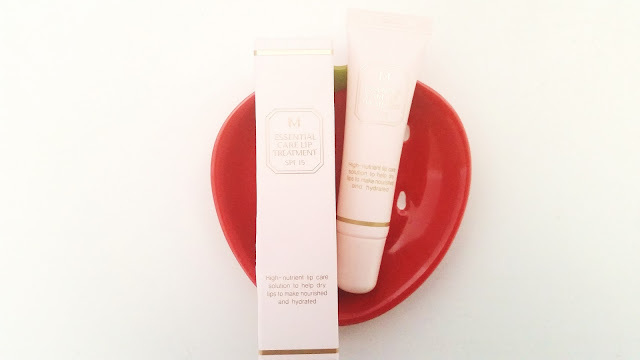 One of the many day time lip treatments that I came across was this Missha Essential Care Lip Treatment SPF15. It's a fraction of the price of Chanel's and has SPF protection too, so I thought why not. Product Description: A hydrating lip treatment to help smooth and moisten lips. It provides hydration care for dry and chapped lips, plus it protects against UV rays. The lip treatment contains hyaluronic acid, ceramide, and angelica to deliver rich moisture to the lips while providing it vitality. To Use: Squeeze out a good amount and apply it onto the lips evenly. Ingredients: Diisostearyl Malate, C18-38 lkyl Hydroxystearoyl Stearate, Ethylhexyl Palmitate, Ricinus Communis (Castor) Seed Oil, Dipentaerythrityl Hexahydroxystearate/Hexastearate/Hexarosinate, Polyglyceryl-2 Isostearate/Dimer Dilinoleate Copolymer, Ethylhexyl Methoxycinnamate, Ethylhexyl Salicylate, Tocopheryl Acetate, Dextrin Palmitate, Meadowfoam Delta-Lactone, Cholesteryl Hydroxystearate, Silica Dimethyl Silylate, Sunflower Seed Oil, Hydrogenated Castor Oil, Ceramide 3, Tocopheryl, Helianthus Annuus (Sunflower) Seed Oil Unsaponifiables, Nelumbo Nucifera Flower Extract, Angelica Acutiloba Root Extract, Rhododendron Ferrugineum Extract, Leontopodium Alpinum Extract, Beeswax, Glyceryl Caprylate, Sorbitan Sesquioleate, Caprylyl Glycol, Panthenol, Water, Glycerin, Propylene Glycol, Ethanol, Butylene Glycol, 1,2-Hexandiol, Sorbitol, Hyaluronic Acid, Sodium Hydroxide, Citric Acid, Ethylhexyl Glycerin, Fragrance, Phenoxyethanol. 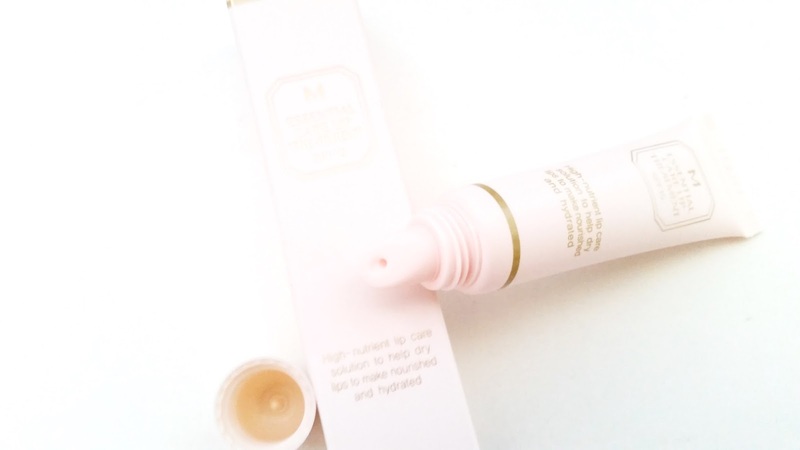 Packaging: The packaging of this lip treatment is pretty simple. Pink is the main color with gold for words and information. It looks dainty and cute and comes in a good size. Scent: I was expecting some nice fragrance for this lip treatment since fragrance is listed in the ingredient list. However, this lip treatment smells mostly like plastic with just the faintest hint of floral scent. It also doesn't taste good, so don't lick the lips after it. Texture: The lip treatment is like a lip gloss in texture but a bit thicker and feels a bit more oily. Color: The treatment is a bit opaque but colorless. My Thoughts: I have been using this on and off for the past 8 months and I'm finally almost done with it. I've used it on and off due to its not so pleasing scent. I have quite a few sweet smelling lip balms, so most of the time I end up grabbing for them instead. I think I have a love/hate relationship with this lip treatment. The scent and taste makes me want to stay away but the effects it offers makes me want to use it often. The main thing I noticed about this lip treatment is that it feels like a gloss once you apply it. It even looks like you applied some clear gloss or something. If you have chapped lips, this might feel a bit odd at first because it feels like it's just coating the chapped area without moisturizing it. 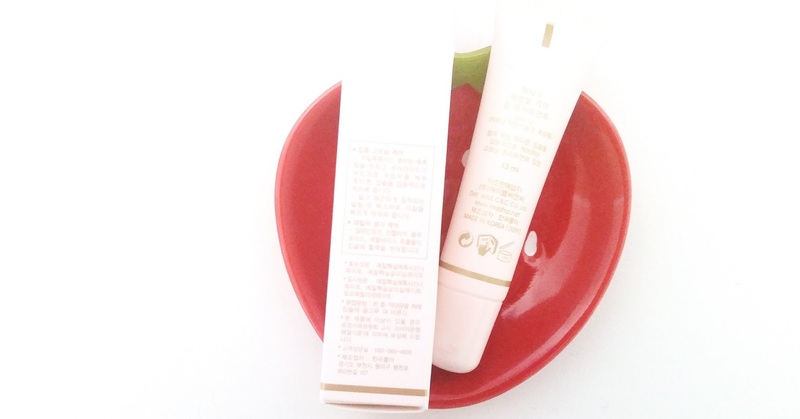 However, it seems that this is a moisturize over time lip treatment so it takes time. If I apply it on dry and chapped lips, it usually takes an hour before it starts to feel a bit moisturized. I did notice that I have to reapply often if I'm talking, drinking, eating, etc. as the coating of the lip treatment goes away. I have to say, despite its not so pleasing taste and scent, this lip treatment is pretty decent. It really does moisturize well. I even forgo my usual lip care once so my lips can become super dry and chapped to test how well this treatment works and I was amazed at the outcome. Within 2 hours after I applied the lip treatment my dried and chapped lips already felt soft. The dry areas didn't feel as hard and it made my lips felt moisturized. I do find that if I can actually look pass the scent and taste, I really like this lip treatment. Final Thoughts: I keep telling myself that if I can get over the unpleasant taste and scent, I'd love this lip treatment more because its effects are amazing. Unfortunately, every time I use it, I am reminded of the unpleasant taste and scent and well it's not pleasant. It's really just a personal preference but I think most people wouldn't like to have a plastic taste in their mouth either. I do really like its moisturizing effects and how it can soften my super dry and chapped lips while protecting them against UV rays. Would I repurchase this in the future? I want to for its amazing effects but I don't want to due to its unpleasant taste and scent. The internal debate is real and I can't come to a conclusion. I would like to try other lip treatments on the market that has SPF as well. Maybe something else will work just as well and has a better scent/taste. Do I think this is worth a try? Well, if you don't mind the scent and taste, then yes totally worth it. It really moisturizes and softens the lips well and protects them against UV rays. Disclaimer: This product was sent to me for review purposes. All opinions are honest and my own. 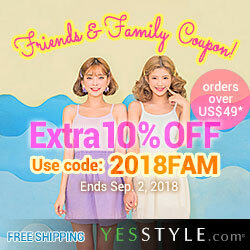 This post contains some affiliate links, full disclaimer here. I agree with the scent and taste hahaha but my lips feel so much more moisturized after that i try to overlook it. Glad I wasn't the only one who felt that way.